Over the past few days I’ve been working on a big commission. I did it for the awesome portuguese production company Individeos, of which my friend João Leitão is a partner. 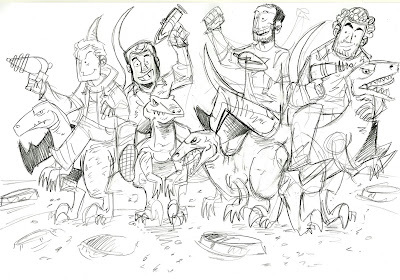 He asked me to draw himself and the other 3 Individeos partners riding dinosaurs on the moon. It was a really fun concept, so I had a blast drawing this. The guys dug it as well, so I’m a happy camper. Since I’m so happy, I’ll share the preliminar sketches, the flats and the final look of this piece. 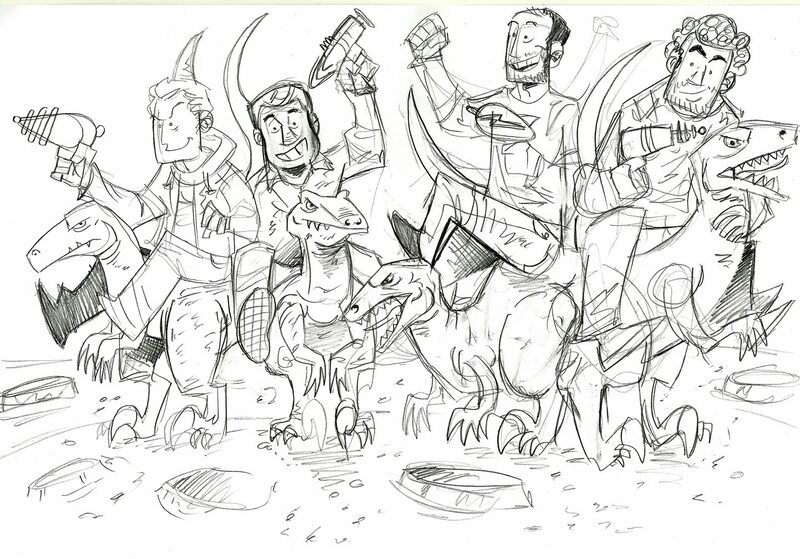 This was one of the first sketches. Messy pencils all around. This version is a little cleaner, and the layout is a little more defined. Here are the color flats.